There's no finer place to begin a river cruise than in the magical city of Vienna. Enigmatic architecture, a vibrant artistic legacy and endless cultural contributions make this charmed metropolis an essential port of call for anyone looking to cruise the Danube. After waving goodbye to Austria's capital, the adventure begins to unravel. Slovakia's Bratislava is a pocket-sized capital of ornamental beauty, and an included guided tour introduces you to the region. Then it's on to mighty Budapest, arguably the most enchanting city to call the Danube's banks home, before continuing to Croatia and out into Belgrade. You will amazed at the diversity on offer throughout this Eastern adventure. Welcome to Belgrade, transfer to your Scenic Space-Ship where you’ll be personally welcomed by your friendly dedicated staff. Enrich: As a special Scenic guest, you’ll be invited into the home of a local family for a traditional home-cooked dinner and the chance to discover what everyday life is really like in Croatia. With great food and wonderful company, this will be both a magnificent meal, and a rare opportunity for one-on-one contact with people who understand the local way of life intimately. Enjoy. Freechoice: Discover Pécs, a city of art and history. Alternatively, explore the village of Villány and learn about everyday life in Hungary, while sampling some of the fine local wines. Today you’ll get to witness a traditional Hungarian horse show. Enrich: Immerse yourself in Budapest’s imperial past by attending an exclusive private classical music concert at the majestic Gödöllõ Royal Palace. One of the favourite residence of Queen Elisabeth of Hungary, you’ll quickly come to appreciate why as you examine its many fabulous details up close. Freechoice: Explore beautiful Bratislava with a knowledgeable local guide and discover all that this majestic city has to offer. 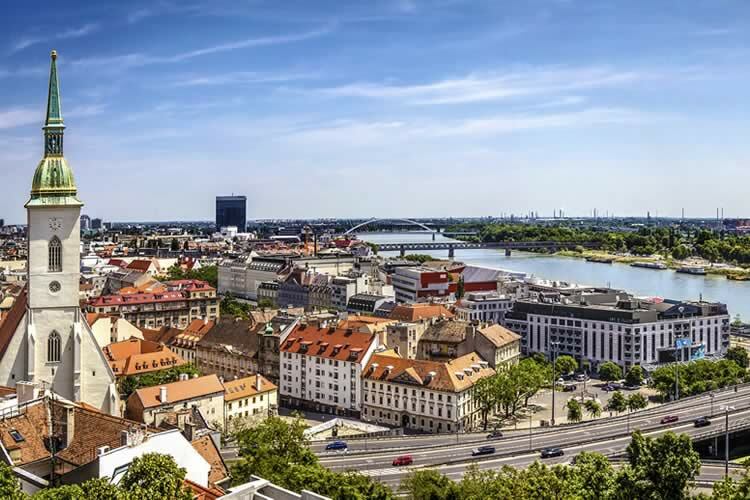 Alternatively, discover Bratislava’s communist-era history during a guided tour, or enjoy a guided cycling tour. Or journey to nearby Devin Castle where you’ll have an opportunity to tour the castle’s ruins and sample some of the local currant wine. Tour the city of Vienna, or be guided through majestic Schönbrunn Palace. Alternatively, visit the world-renowned Spanish Riding School and either tour the stables or see the Lipizzaner Stallions perfecting their skills during their morning exercise program.